The lifeblood of any offshore bank is its correspondent account. The correspondent account is what connects the small offshore bank to world’s banking system. Without it, the offshore bank couldn’t send and receive wires, hold particular currency, etc. When an offshore bank in Dominica wants to receive wires from the United States, and hold accounts in US dollars, they MUST have a US correspondent account. Only a bank licensed in the United States can provide US dollar account services to foreign banks. Ask any experienced banker from a small offshore bank what the three most important aspects of his business are, and he’ll say correspondent banking, his correspondent relationships, and correspondent accounts. 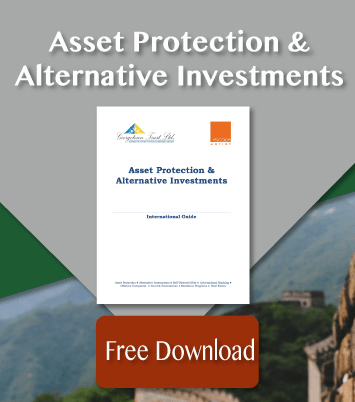 For more on this, see: The 8 Components of an Offshore Bank License. The possibility of losing the correspondent account keeps up bankers at night. Loss of an account can shut down a bank and keep it shuttered while they search for a new partner. For example, all the banks in Belize where shut down for 4 months last year because the US government wanted to make an example of one of them. For more, see: Belize Banks Under Attack by US Government. So, the correspondent account of an offshore bank is the business. Without it, you’re done. And correspondent accounts for offshore banks have become very difficult to get. The smaller your offshore bank, the tougher the journey to a correspondent account. The smaller your opening deposit, the less attractive you are to a correspondent account partner. For example, a new bank from Dominica has zero chance of getting a correspondent account with $1 million in capital. Yes, you can get a license in Dominica with this amount of money. It will be a cold day in hell before you get a correspondent account. If a new bank in Dominica has $10 million or more, a great startup team, and a solid compliance program, maybe, just maybe they’ll find a correspondent partner. The reason correspondent accounts are so tough for offshore banks is the current risk environment. All banks, especially correspondent banks, are functioning in an environment of “de-risking.” This is a relatively new word in the banking lexicon and it basically means to remove anything that COULD be risky to the bank. In this de-risking world, banks take a hard look as profitability vs. risk. If a new bank from Vanuatu will bring in $10,000 in fees, but the potential risk from fines is $2 million, you’re out. You have no chance of getting a correspondent account. A few years back, the risk to the correspondent bank was relatively low. Unless the US bank did something stupid to aid in a fraud or something, they wouldn’t be fined for the actions of their correspondents. Today, the US government will fine the US bank for any and all actions of its correspondents. It’s all about making correspondent banking so painful that no one will try to launder money or go against the wishes of the almighty US government. Bankers are now unpaid IRS, FBI and CIA agents… and, when they mess up in this thankless job, they get fined and fired. Think of it this way: You run the international compliance division of a US bank. A new and unproven offshore bank files an application for a correspondent account. If you say yes and all goes well, you (the banker) get no benefit. If you say yes and it goes badly, you’re fired and your pension is stripped away. How certain must you be that the applicant is clean to approve the account? If you have 10 stamps on your desk, 9 of them say denied and 1 says approved. The regulatory bodies have made the fines and penalties so extraordinarily high that the risk/reward of doing even normal international transactions is out of whack. Nobody wants to send a wire transfer for say $20 if the potential downside (US government fine) is $200,000 for sending that money that shouldn’t have been sent. One reason for this is the new and improved definition of money laundering. A few years ago money laundering meant cleaning drug money through a fake car wash (miss you Breaking Bad). Today, money laundering is sending untaxed money from one country to another. Moving untaxed money out of Uncle Sam’s reach is now money laundering. For this reason, banks are afraid to send money from the US to a low or zero tax jurisdiction. If you send a wire from the US to the UK, no problem. If you want to wire money to Belize or Panama, all kinds of alarm bells will sound. When you’re trying to setup a correspondent account for a small offshore bank in a zero tax jurisdiction, these concerns are magnified 1,000 fold. You’d better be bringing some significant business and fees to the correspondent partner if you want to get their attention. 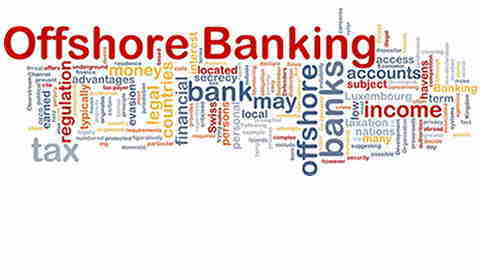 I hope you’ve found this article on correspondent banking for offshore banks to be helpful. For assistance in setting up a correspondent account for an international bank, please contact us at info@premieroffshore.com or call (619) 550-2743. We’ll be happy to assist you to setup your accounts.